Security threats are everywhere. 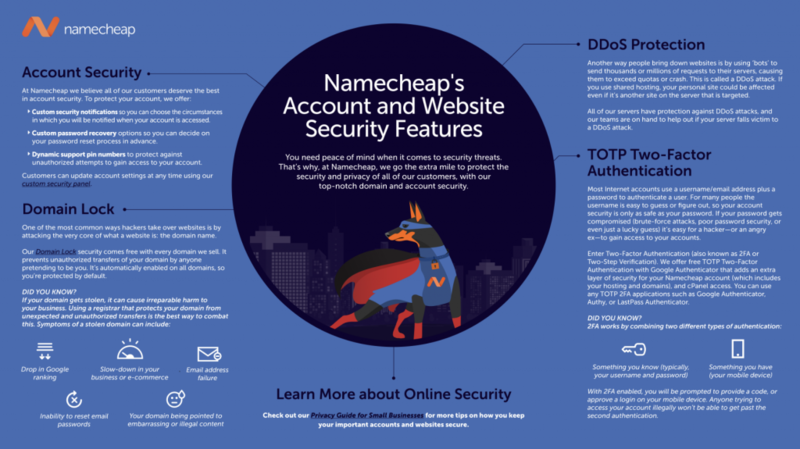 You want site security that’s straightforward to set up, but effective. That’s why we go the extra mile to protect the security and privacy of all of our customers, with many important features (such as two-factor authentication, and WhoisGuard), free to use as standard. 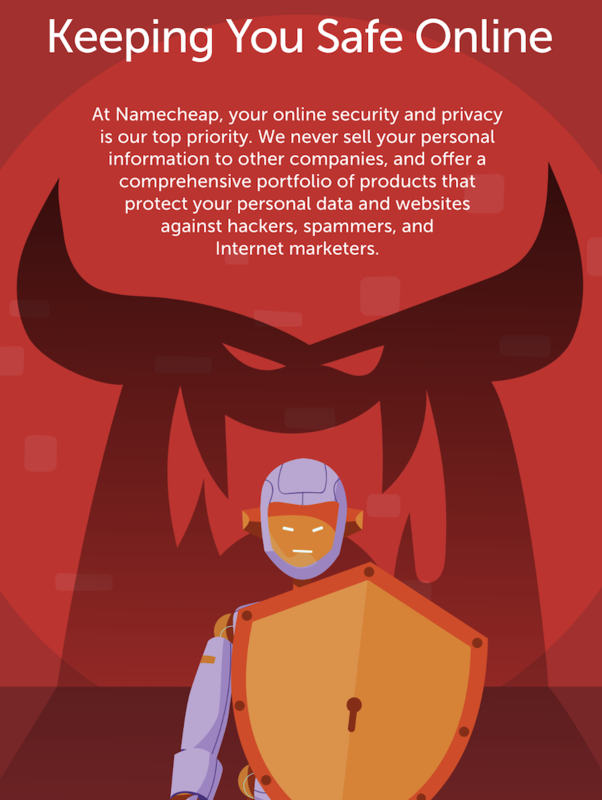 You can activate all of the features outlined in the graphic (below) to keep your data and website safe – and they’re all included for free with your account. That’s a lot of protection built in and ready. Think it would be useful to your friends too? Share the link and share the love—we want everyone to know what their Namecheap account can do for them! While the above represents an excellent starting point for security threats, there’s always more you can do. Our second article (below) details the optional extras you can get to secure your account and internet connections. From SSLs to VPNs, we’ve made securing your Internet life easy to understand. As always, if you need any further information or guidance, our customer support team are on hand to help you with anything you need 24/7.